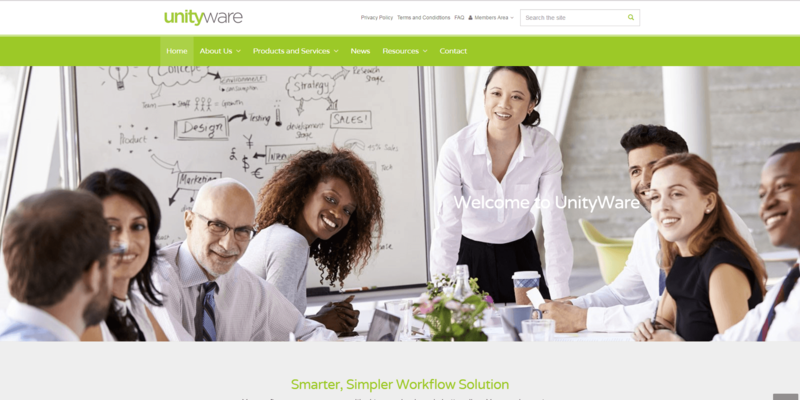 Unityware is a business process management software provider with over years of experience in software design and development. Their flagship solution, Synthia, is designed to solve business problems and improve communication across teams and departments, without the time and resource demands of traditional programming. Unityware’s enterprise-grade business process automation tools will help you improve productivity for specific processes, eliminate redundant tasks, and increase accuracy and visibility using dashboards and multi-layered audits. Synthia can also consolidate and unify critical data from your current business systems and offer a single, personalized view for each user. This approach for analysis and management overview thereby allowing improvement of your work processes and working capital. The system uses “synthetic intelligence” to learn behaviors and patterns, then adjust processes automatically. Administrators can control access for both internal and external users and monitor process flows from a central interface. Synthia works from within your firewall, so you can manage workflows and data according to your own IT governance. The system can be deployed on-premise or in the cloud. To browse and compare more business process management solutions, use our Product Selection Tool. Have questions? Call, click, or email to get a free consultation from one of our unbiased Technology Advisors. Learn everything you need to know about Synthia by Unityware. Our experts will reach out to you shortly.